A plethora of weekend runners will either induce an Australia Day celebration or the predictable cry of what might have been! Trainer Steve O'Dea is travelling promising gallopers SCALLOPINI (pictured) and RECKLESS CHOICE to Randwick hoping for a repeat of the spring double Steve produced at the same track with SESAR and DOUBT DEFYING. Randwick will also be the first assignment this time in for the hardy grey, SO SPIRITED who contests the same race as SCALLOPINI. He'll be joined on the truck from Joe Pride's Warwick Farm stable by the in form TAHSIN whose last three runs have yielded a victory and a pair of seconds. He tackles 2000m for the first time but with Robbie Dolan's claim comes in with the luxury weight of 51kg. Meantime at Queensland's Sunshine Coast metropolitan meeting, O'Dea unveils the unbeaten INVIGORATING in the QTIS 3 year old event. Successful in both her spring outings the daughter of SIZZLING will likely appreciate a longer trip than Saturday's 1000m however it's a good kick off point for a campaign that may climax in the winter carnival. The desperately unlucky COOL SEQUENCE lines up in the 1400m non metro winners race but yet again has drawn an outside gate. 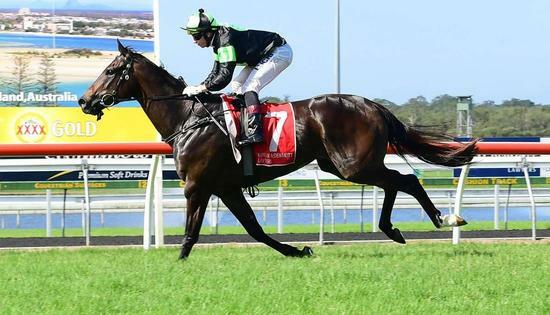 His failure in the Magic Millions Cup could be attributed to a tardy getaway and wide run so with an ounce of luck he's capable of staging a decent form reversal Saturday. The busy weekend kicks off with GREENSPAN at Goulburn Friday. Now in the stable of local mentor John Bateman, the RELIABLE MAN four-year-old is first up after a throat operation with the in form Blaike McDougall to ride.Then Monday Joe Pride is likely to release KYLEASE into race day conditions following no less than three recent trials. The speedy CHOISIR debutante is also being considered for a 1000m Maiden at Gosford Wednesday.